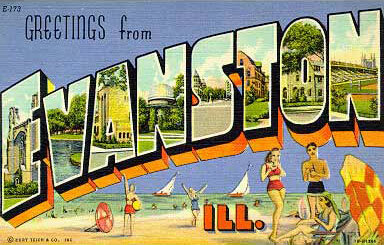 gaslight anthem – Page 2 – Greetings from Evanston, Ill. The cowriter of a coming short film is The Gaslight Anthem’s drummer. The score comes from another Gaslight member and a friend of the band. What inspires the film is a song on their latest album. All these elements are nice for a fan of the band. From a movie-quality angle, they are all worrisome. But then I read this description of the film, and I’m completely mollified. “… the film explores the romanticism of owning a physical piece of music and the impact, whether big or small, that it can have on someone’s life.” The movie could be good. Or it could be bad. But I know I’m going to like it. Gaslight on a Sunday night, Kay Ryan on a Monday night. Do you spend a long time revising? When I do rewrite—a week later, a month, or maybe a year later—it’s not very much. I might have to add a little bit or turn two lines around or cut a little bit, change a word, or replace a line. I almost always fiddle around some more with the lineation. Sometimes I have to hold on to something for years before I have an ending. 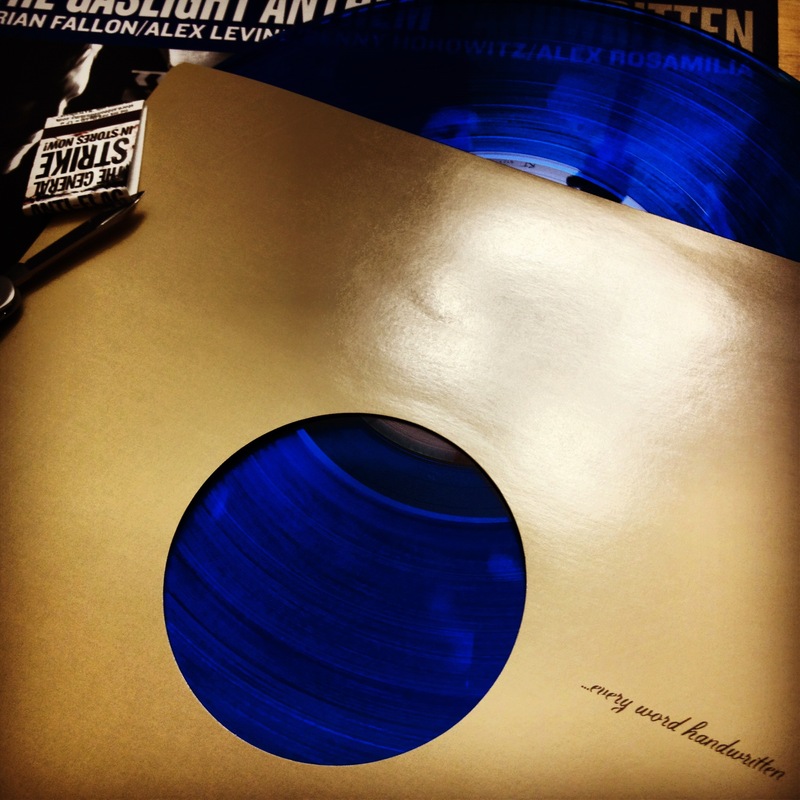 The new Gaslight Anthem album, Handwritten, is a more raw effort than the band’s previous albums. It’s taken me some time to get into. But I’m at a point now where few days pass without one of its songs in my head. The video is simple and direct, and the enterprise feels worth it. “We watched ‘Talladega Nights’ every night for two years,” Brian Fallon told the New York Times recently. “That movie was the only normal thing we had.” As of tonight, I’d played Gaslight Anthem’s new album, Handwritten, about once a day every day since it came out. 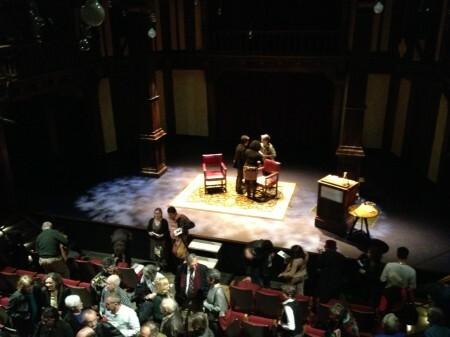 Friend Casey tweeted how it sounded like an album of men uncomfortably moving furniture. I wouldn’t dispute that characterization at points. But I did think the other day, out of nowhere: Even when you’re moving furniture, you’re thinking about stuff. Casey was in town this weekend, and when the Daily contingent grabbed dinner last night, it was great to be around friends who made you think hard about music. You could like different sounds. You could disagree. But you needed to have your reasons. So, when I’d been playing the album last week, when my tickets to their December show in D.C. arrived today, when I loved this throwaway-but-kinda-badass poem in the New Yorker upon rereading it recently, I found my reasons. Even on the grittier days living served us, when I was lifting, sweating, grunting, and moving the literal or, more likely, figurative furniture for reasons no one would recall, grasp, or appreciate, I wanted wheels. Two minutes of howling? Yeah. 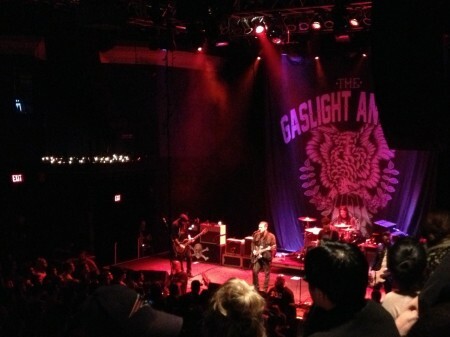 Gaslight Anthem posted video this week of the last song of the night at their amazing Asbury Park show we saw in December. They played Baba O’Riley, and they couldn’t have had more fun doing it. The video’s tightly shot, and the guitars sound terrific. Wonder if more is coming. 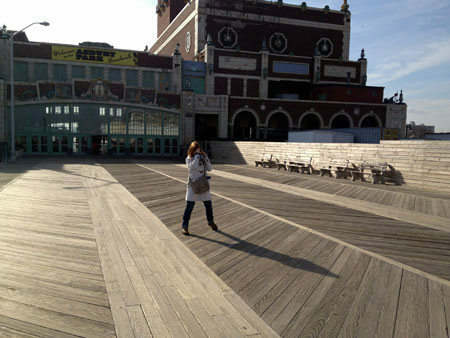 On a Thursday evening after work, Lori and I drove up to Asbury Park, New Jersey. We stopped for crab cakes at Chesapeake House, found a string of Christmas stations on the radio and got in late. There was no signage outside the hotel, and workout professionals were wrapping up their holiday party, spilling into the lobby with shouts and big hair. 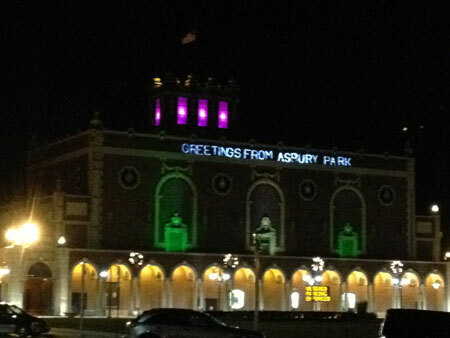 We were glad to be in New Jersey, with this glowing down the street. 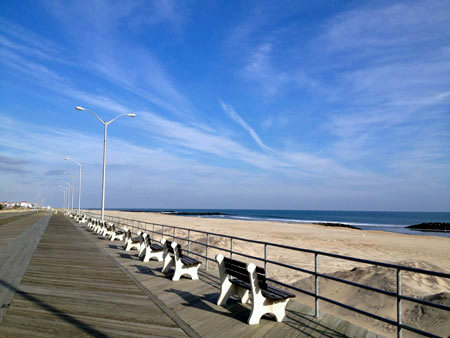 In the morning, we had the boardwalk and the ocean to ourselves. We proceeded to explore the town, once a bustling shore destination, then a ruin, now a comeback, with music, antiques and art as draws. 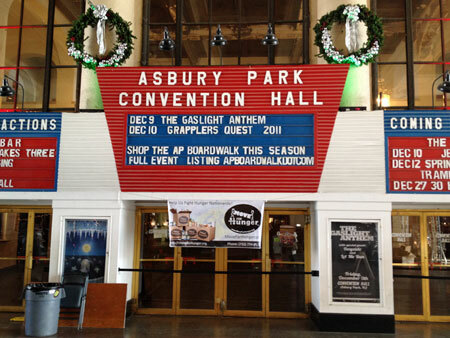 We were there primarily for the music — Gaslight Anthem in its native Jersey, on a Friday night, one last concert before recording anew, in Asbury Park Convention Hall, built in 1927 and somehow still standing.